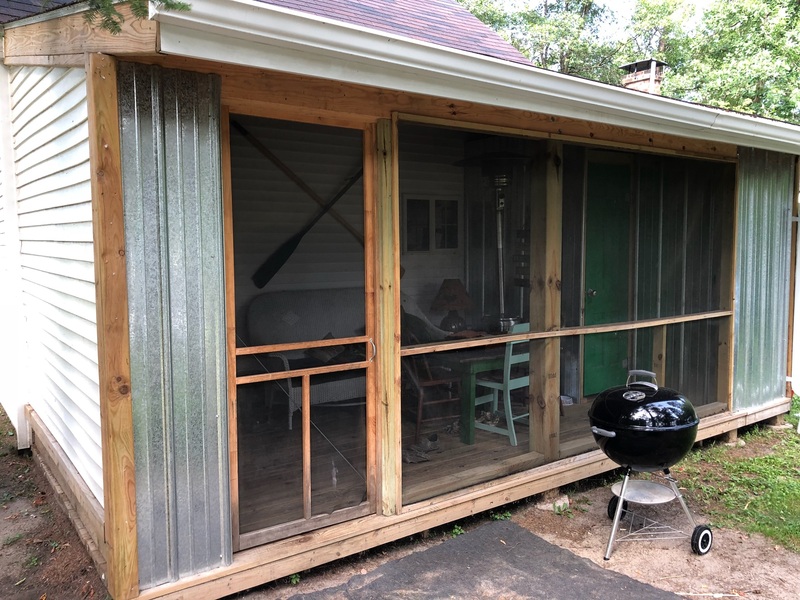 The ultramodern Northwoods “Cabin 15” at Loon’s Nest Resort in Park Rapids offers a lake view and is the perfect housekeeping cabin for larger families or groups. 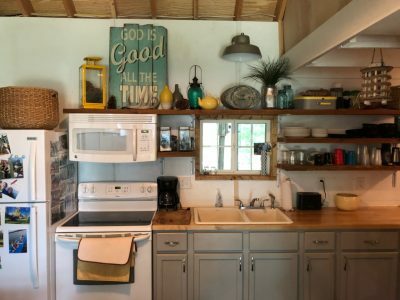 You will enjoy a clean, comfortable four-bedroom cabin with a fully-equipped kitchen with fridge, microwave, cooking utensils, coffee maker and toaster. 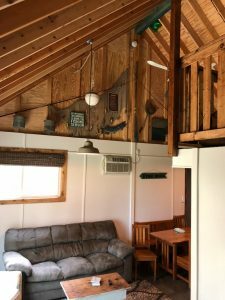 This nicely decorated vacation rental has air conditioning, cable TV, a screened in porch and a deck.. 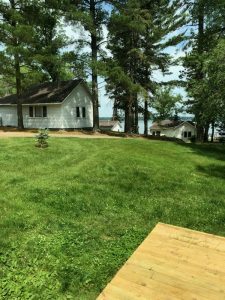 The spacious Minnesota cabin offers 2 queen beds, 1 double bed, 4 twin beds. The full bathroom includes both a tub and shower, and one bath has a shower only for your convenience. It also has its own driveway for parking. Rates based on 10, sleeps 10 max.